Body weight and image are common concerns among runners at all levels. Some runners are new to the sport and incorporate running as a healthy way to promote weight loss. Some runners have been in the sport for a while and are curious if weight loss will help improve performance. Whatever the case, weight loss and running can go hand-in-hand, but it takes careful planning and a realistic understanding of the body and weight loss works. In this article, we’ll look how to assess your body composition to determine if weight loss is an appropriate goal and then specific strategies to help you safely and effectively lose the weight without derailing your training. Common goals for weight loss in runners include losing body fat and increasing lean body mass. Indeed, excess body fat can inhibit performance. Unlike muscle, fat is non-force-producing mass meaning that it is there, but doesn’t help propel the body into motion. Excess body fat has also been associated with reduced aerobic capacity and endurance. However, keep in mind that muscle and fat are not interchangeable. To change body composition you must simultaneously lose body fat by maintaining a caloric deficit and increase lean body mass through exercise and strength training. Having a body composition that is lower in fat mass does not necessarily mean lower body weight. It is important to view weight loss in terms of body composition goals vs. body weight goals because too low of a body weight can be detrimental to athletic performance and overall health. Also, body composition is a better marker of health and fitness than weight alone. The appropriate percentage of body fat is individualistic for each athlete and it should be recognized that athletes of many shapes and sizes can enjoy the same health and athletic success. We discussed this further in our post about understanding how metabolism works to unlock the mystery of running and weight loss. At the bottom of this article, we’ve included a list of ways to measure and test your body fat percentage. While a lower percent of body fat has advantages for runners, it is possible to have too little body fat. A body fat below 5% for men and below 12% for women can result in health problems and impaired athletic performance. 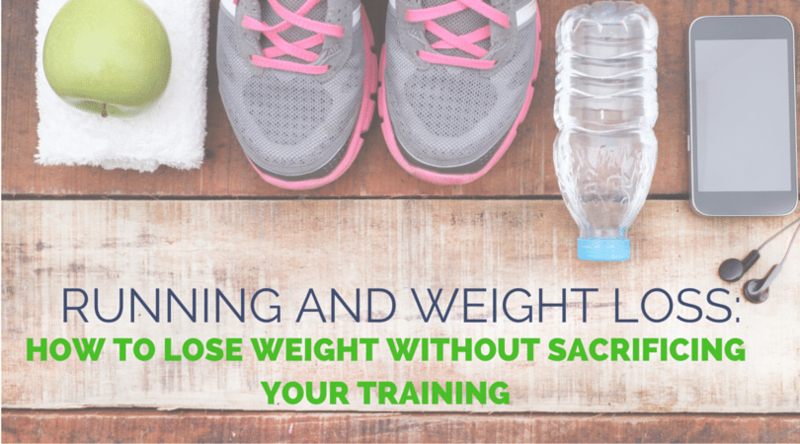 If weight loss is appropriate for you, here is a step-by-step process for losing weight while staying healthy and maintaining energy levels to support your training. 2. Next you would multiply this number by an activity factor decided by your daily activities. These activity factors can range from 1.2-1.4 for sedentary activities, up to 1.9 to 2.5 for those who work long shifts doing demanding jobs. 3. Finally you would add in the number of calories you are estimated to burn through training. Get the only runner’s calorie calculator that factors in your metabolism and the miles you ran to help you determine exactly how many calories you burned each day. Plus, get a breakdown of how many calories you need to eat (including how many carbs, proteins and fats you should target) to lose weight. Once you know about how many calories you need to support your daily living and exercise, you want to decide how many calories you can cut out to promote weight loss. You diet should never be providing you less than 1200 calories per day. Below that point it will be too difficult to get enough vitamins and nutrients to support health and performance. Also, when you cut back calories too much you are more apt to get too hungry and will end up blowing you “diet”. Very low calorie diets may also promote muscle loss and result in a slow metabolism, making weight loss more difficult. The following are some useful tips on how to lose weight healthfully and keep weight loss a manageable part of your training plan. Find a way to make your favorite foods a part of your diet instead of denying yourself those foods. Give yourself a favorite treat once or twice a week. Try eating smaller meals every 3-4 hours and eat mindfully. Try not to multi-task while eating and take time to enjoy your food. Also keep in mind that your brain needs about 20 minutes to get the signal that you are full. Add in more fruits, vegetables, and whole grains. These foods promote satiety and keep you fuller longer. If eating too much at night is an issue for you, try frontloading your calories by having a bigger breakfast and lunch and a smaller dinner. Use a tracking tool online, on your phone, or even in a journal to record what you eat and the training you do. This will help keep you on track and also remind you that food is fuel for your daily activities and training. Think positive thoughts. Dieting and training for endurance events are both hard and some days will be better than others. Give yourself a mental edge by visualizing a leaner, fitter you each day. Before beginning a weight loss program it is a good idea to have a health screening from your doctor to identify any medical conditions that may need to be addressed. Also, be realistic about your weight loss goals. Each individual has a “set-point” for weight that his or her body performs best at. If you don’t have any body fat to lose, your body will try to conserve energy and you will find it difficult to lose weight. Finally, weight loss and changes to body composition should be undertaken in the off-season or early on in the competitive year before hard training and competitions begin. 1) DEXA scan– a type of full-body x-ray that can distinguish fat from muscle and bone. It is considered the “gold standard” for accuracy in measuring body fat. DEXA scans can also determine bone mineral density, which also can be useful for runners. However, the scans can be very expensive and it is difficult to find a facility with the machine. 2) Bod Pod– the pod measures the volume of air you displace which allows it to measure your density. The assumed density of fat, muscle and bone are used along with calculated body density to determine percentage of body fat. Again, facilities with these machines can be difficult to find. 3) Underwater weighing– body density is determined by dividing body weight measured on land by body volume measured by water displacement when submerged in water. The assumed density of fat, muscle and bone are used along with calculated body density to determine percentage of body fat. 4) Skinfold calipers– based on the assumption that subcutaneous fat represents a certain proportion of total body fat. Skinfold measurements are taken at 3-6 common sights on the body and body fat percentage is derived using the sum of these measurements and skinfold equations. The accuracy of this method depends a lot on the equipment used and the person taking the measurements. 5) Bioelectrical impedance– a small alternating current is passed through the body. Tissues with large amounts of fluids and electrolytes, such as blood, allow the current to pass freely whereas as tissues like fat, bone, and lungs have high resistance. The impedance measured is used in derived equations to give an estimate of fat-free mass, from which body fat can be calculated. This method is easy, convenient, and low-cost. However it is not as accurate, especially in select populations, compared to the other methods. 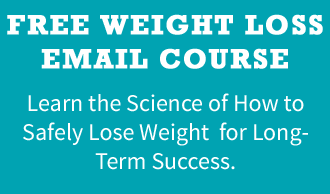 Learn the Science Behind Losing Weight So You Can Understand the "Why" of Weight Loss for Long-term Success. Why your weight fluctuates each day, why this is critical to understand when it comes to tracking your progress, and how to prevent it from happening. Learn the best way to distribute calories throughout your day when you understand the glycemic index and its importance to weight loss. When I was running a lot and training for things, I could NOT lose weight! I know now that it was because I was a cardio junkie and I wasn’t doing the necessary strength training my body needed. It’s funny, I had to stop running for 2 months because of an IT Band issue and I started lifting weights…I lost 5 pounds immediately! Hi – some great articles on here. Regarding weight (fat) loss in the off season – I seem to only be motivated to lose weight in the season when I realise that it’s holding me back and I’m training hard, and trying to cut calories – you can guess what happens – I get tired, eat more to recover and end up not losing any weight! I train all year round, but tend to relax a bit in the winter. I compete in triathlons, and am good on the bike – but fatloss isn’t so much of an issue, but get a kicking on the run. I’m 5’7 and weight 75kg – any ideas?! Try not to beat yourself up too much, you are still out there doing it, and it is good that you realize your training and performance is more important than a number on a scale. Hope this helps! Hello, thank you for this. It seems very similar to when I was going for a lot of weight training. I fell off the wagon with weights after some minor surgery and can’t lift much anymore. In the past year I’ve gained back a lot of weight and have set new goals. I plan on doing the Bataan Memorial Death March in March again. I walked it a few years ago and would like to add more jogging/running. As of today I was 272.8 lbs and my goal is to be around 225 lbs by race time. I am 6’4″ and am in the endomorphic body. I have a good novice training guide for both walking and running, but was lacking some good guidance on diet for running. All I’ve ever done is planned meals for weight training which I’m sure is very different. I’d eat close to 200 grams of protein a day for example. I’m having a hard time finding a running nutritional plan for an obese person. Any ideas? Thanks again. Hi Alejandro, the advice we gave in this article should help you get started. There should also be some advice that will help you in this post https://runnersconnect.net/running-nutrition-articles/losing-weight-with-running/ If you are just starting to run, try not to do too much too fast or you will risk injury and then require time off. Hope this helps! Once you get going, if you would like specific marathon advice, please reach out again! Well, I was fatty a few months ago, although not big like other people, but still, fat was taking hold on me, but over the period of last few months, I had some weight loss and now, I look good, really good. And I have to admit, that proper exercise, taking protein oriented diet and drinking good amount of water is enough to lose weight fast.